Tiger Woods missed something called the “secondary cut” on Saturday at Torrey Pines, a San Diego seaside course that has been his home away from home since his junior golf days. The secondary cut wasn’t prime beef. It was fat at the bottom of the leaderboard. Then Woods just faded from the scene as the tournament moved on to Sunday’s final round. Yes, for all you weepy-eyed golf writers and uninformed golf fans who only watch when Woods plays, they finished the tournament without him. Scott Stallings beat a packed field at the top because he made the most putts. Now let’s hope Woods fades away completely from golf. No longer should we have to hear the claim that this selfish person — one who never outgrew his personality as a brat with a pushy father during his junior golf days — was the greatest golfer of all-time. Jack Nicklaus has been the world’s greatest golfer since he wrested the title from the likes of Ben Hogan and Arnold Palmer in the 1960s. Then he held off throughout his career in the 1970s and 1980s the likes of Gary Player, Lee Trevino, Tom Watson and Greg Norman. The Golden Bear won 18 majors between the 1962 U.S. Open and the 1986 Masters. Woods never had that caliber of competition to hold off as he collected 14 major titles between the 1997 Masters and the 2008 U.S. Open — at Torrey Pines, by the way. 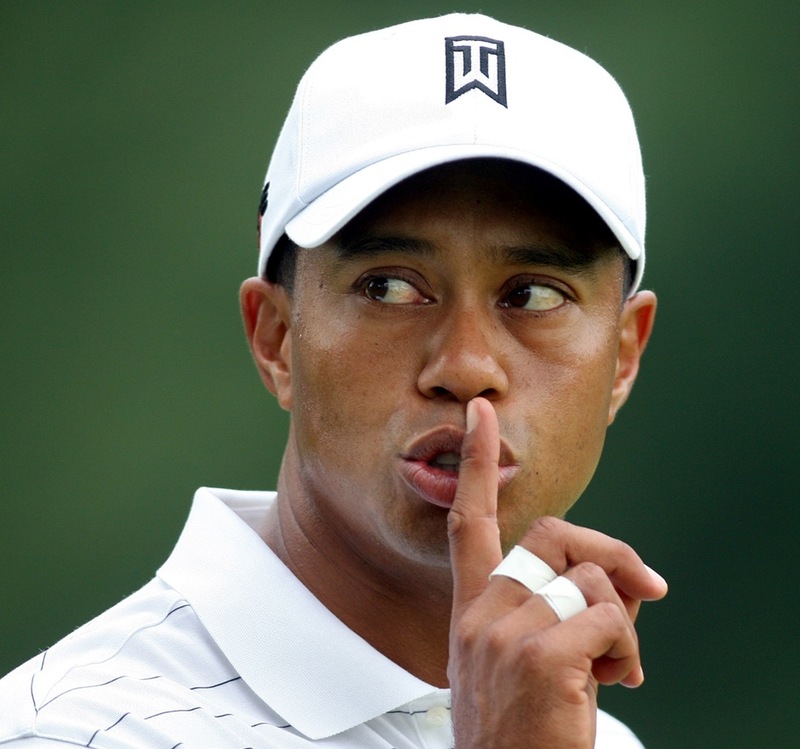 Woods is only 38, so he conceivably has time to win more majors. But he won’t because he can’t putt. Tom Watson won the first of his nine majors at the 1975 Masters and the final one in 1983. Then he lost his putting stroke. He occasionally would put together rounds to contend at majors through two or three rounds, but he could never finish without his long-lost putting touch. That explains Watson’s stretch of winning majors spanning only eight years. Tiger’s stretch was 11 years before he lost his putting touch. Nicklaus could always putt, which explains a 26-year span. Consider that fact, weepy-eyed golf writers and uninformed golf fans who never watched a tournament without Woods playing. I admit to being uneasy that Woods would collect 18-plus majors and unjustly pass the regal Nicklaus. But that’s only because I recognized the lack of competition he faced. The golf gods, obviously more judicious than the baseball gods, apparently won’t allow Nicklaus to be passed until another player of his character comes along. The baseball gods let us all down when they allowed the steroid-fueled Barry Bonds to pass Henry Aaron, a heroic champion who succeeded in the face of racism, as the baseball’s all-time home run king. The same goes with otherwise ordinary players such as Mark McGwire and Sammy Sosa, who passed the misunderstood Roger Maris as the single-season home run king. Tiger Woods’ final faux paux with me, the one that convinced me he’s simply a bad guy who can’t be dressed up even by PR guys (although those cuddly Buick family-guy commercials fooled a lot of people), involved baseball. When Woods won the 1997 Masters, he broke golf’s embarrassing racial ceiling as the first African-American to win a major title. He was asked to celebrate the historic moment a few days later as part of the 50th anniversary that recognized the great Jackie Robinson breaking baseball’s color line with the Brooklyn Dodgers in 1947. Rachel Robinson, Jackie’s widow, President Clinton and former president Woodrow Wilson (uh, sorry, I mean baseball commissioner Bud Selig; he only looked like Woodrow Wilson bundled up in an oversized early 1900s-styled coat that cold April evening in New York) were on hand for the ceremony. Woods sent his regards, said he was tired and going on vacation with friends. John Feinstein, one of the few sportswriters who called out Woods during his career (the great Dan Jenkins was another), was incredulous. When he asked one of Woods’ lackeys for an explanation, he was told Woods was tired. Feinstein was among those who saw how Woods treated people, including ignoring little kids seeking autographs, when TV cameras weren’t around. Woods didn’t understand then — and probably still doesn’t now — that if Robinson had failed in 1947, it would have been a long time before another black player was permitted to play in the Majors. He had no understanding that pioneers such as Robinson paved the way for him to live the life of an overpaid, entitled athlete. When Brooklyn Dodgers general manager Branch Rickey chose Robinson, he picked him for his character, his college degree at UCLA and his experience playing integrated college sports on the West Coast as much as for his talent. But he also wanted background on Robinson’s wife, Rachel. Rickey sent Buzzie Bavasi, who worked under Rickey and then succeed him, to Montreal to observe Robinson and his wife as they handled the pressure of playing for the Dodgers’ Triple A team in Montreal in 1946 a year before his promotion to Brooklyn. Bavasi noticed the other players’ wives deferred to Rachel as they sat in the stands together at games. He liked to tell the story of his report back to Rickey, and I had the pleasure of hearing it one night at a dinner as he spoke with that gravely voice of his. Woods said he was too busy to celebrate with Rachel Robinson — missing out on an opportunity to educate his uniformed golf fans — on an historic night. Let’s hope this little brat of a golfer has had his time in the sun and just fades away.